Whether we make music as professionals, students or amateurs, we strive to create transcendent experiences for our listeners and ourselves. Sometimes, though, our passion for music causes us to pay less attention to our wellbeing than we should. But, as Mark Hambourg implies, if we neglect self-care to the point that we become unwell, then our music making will suffer and possibly come to a halt. The Musician’s Way supplies far-reaching guidelines for musicians to avoid music-related injuries and promote healthy living. In this post, I zero in on a common cause of injury among instrumentalists and singers: excessive physical tension. Too much tension is pernicious because, among other things, it can provoke repetitive strain injuries and limit technical facility. 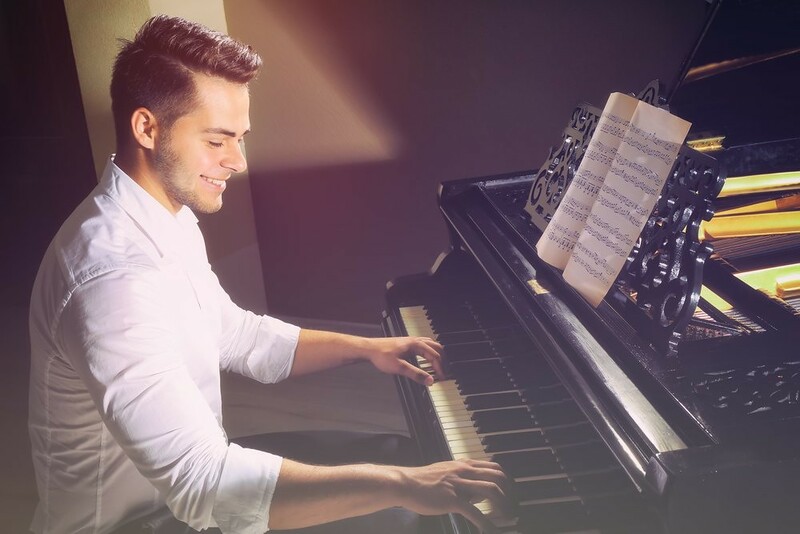 By comparison, when we minimize tension and cultivate mental and physical ease, we decrease stress on our bodies and free ourselves to create our best music. 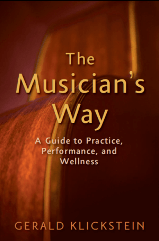 The following six habits promote strain-free music making – all of them are expanded on in Chapter 13 of The Musician’s Way. Pages 250-257 of The Musician’s Way provide guidelines for balanced sitting and standing; numerous photos illustrate the principles. 2. Get a good fit between you and your instrument. Match your instrument to your size, and position it for utmost advantage. Also exploit ergonomic aids or instrument modifications to accommodate special needs. Consider wedge seat cushions, too, which promote optimal sitting. 3. Play with your wrists in their midranges of motion. Misaligned wrists can strain delicate tendons, whereas well-aligned joints allow for fluency of movement. The photos on pages 264-267 of The Musician’s Way contrast musicians using aligned and misaligned wrists. 4. Reduce mental and physical effort. Choose suitable material, learn it thoroughly, and never exert excess force. If you ever find yourself forcing through a passage, stop, solve any technical problems, and seek help from a teacher for difficulties you can’t resolve on your own. 5. Use agile breathing habits. Whether you’re a singer or an instrumentalist, ensure that you understand how to coordinate your breathing – maybe ask a teacher to evaluate your habits. Efficient respiration entails the coordination of numerous muscles, and clumsy breathing contributes to tension and misuse. 6. Sign up for lessons in movement awareness. The Alexander technique and the Feldenkrais method are two approaches espoused by musicians worldwide. Resources to locate teachers and access free online materials are posted on the Wellness Page at MusiciansWay.com.